"I’d rather roses on my table than diamonds on my neck." 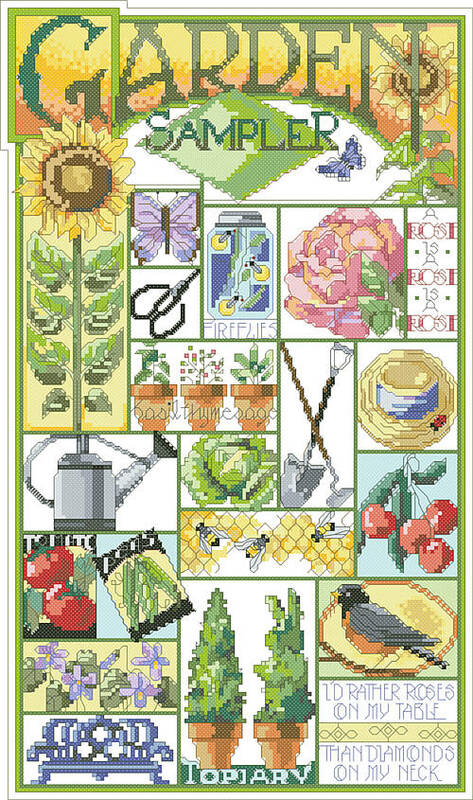 This beautiful Garden Sampler counted cross-stitch kit captures everything you love about the garden-flowers, vegetables, even the birds and the bees! 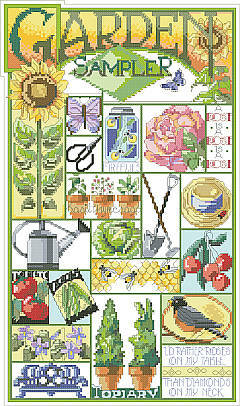 Contents: Stitch Count 123w X 208h, finished size on 14-ct, 8-3/4" X 14-3/4"